If you visited the Columbus Museum of Art on a certain Sunday last December or April, you might have stumbled upon a gigantic, quilted heart into which you were invited to pose a question to your soul. Or you may have been ushered into a translucent dome representing the social “bubbles” we live in. Or you might have found yourself in a dark, curtained booth, listening to the life stories of young strangers. You may even have unburdened yourself to a “therapist” who then dispensed her prescribed “medication,” capsules filled with substances like glitter (to bring more excitement to your life) or dirt (to help you find a sense of grounding). These are just some of the many participatory art works created by teens in Art Lab. 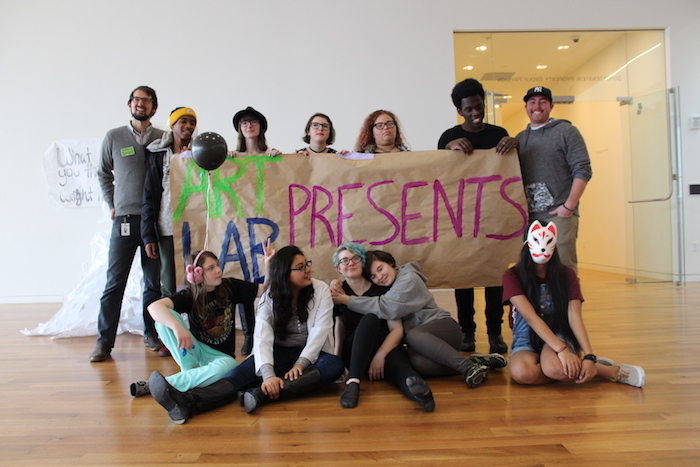 Art Lab is a yearlong, in-depth experience in which a small group of high school students spend a full day each week with the Museum. Teens apply to participate, and selections are made to include a diverse range of past experience, with special consideration to youth with limited access to other arts opportunities and those who have not been successful in traditional school models. 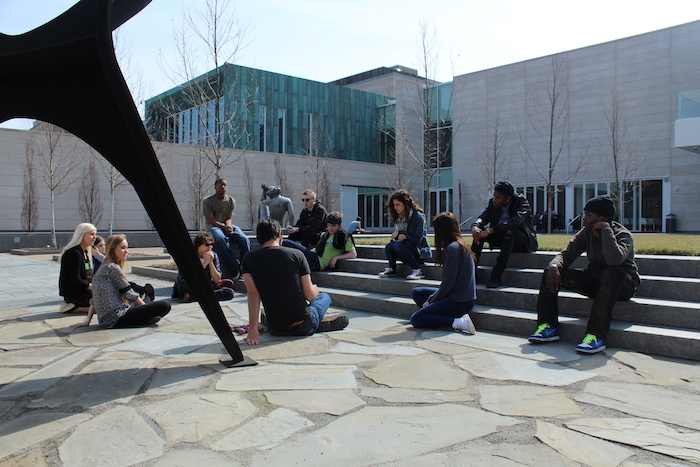 Throughout the program, youth explore the creative vibrancy of the city, work with Columbus-based artists, learn about careers in museums, and craft visitor experiences such as those described above. What results is a jaw-dropping array of art and ideas, exploring profound themes in dynamic ways. Perhaps most impressive is the way the teen artists, often shy at the start of the program, actively engage visitors in thoughtful dialogue around fundamental questions of art and life. The CMA team guides and coaches throughout the year, supporting teens to craft their own experience – from idea to implementation – in collaboration with one another. Teens thrive in this culture of collaborative and authentic learning, and the growth of these young people is incredible. One parent remarked that without Art Lab, she didn’t know where her son would be. Increased value placed on community, collaboration, and diversity.